The International Skilled Worker – Occupations In-Demand sub-category is closed to new applications at this time. This program is for highly skilled workers with experience in an in-demand occupation in Saskatchewan, who do not yet have a job offer in the province. 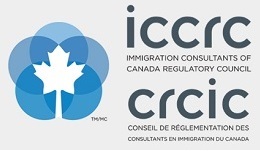 The International Skilled Worker – Saskatchewan Express Entry sub-category is closed to new applications at this time. This program enables the province to nominate individuals who are already in Express Entry pool and have skilled work experience in an in-demand occupation in Saskatchewan. This program is for students who have graduated from a recognized post-secondary institution in Canada. Among the requirements, the student must have worked in Saskatchewan for at least twenty-four months before applying or for six months if the institution is in Saskatchewan.